Volunteer Applications are closed. Check back in the Fall 2019 if you’d like to apply for the Spring 2020. Before you apply, check out the video below! Volunteers help students find their next step with jesus as they grow in relationship with him and connect them to a local church so that they are able to grow in their faith as part of a believing community. Additionally, they work to encourage local pastors and ministers in various ways, such as encouraging letters and consistent prayer. They help with the Tuesday night Connect table, Next steps reception, the Breakaway Institute, and the Ministry Dinner. Volunteers extend God’s love in a tangible way by making each student feel welcomed and accepted as they walk through the doors at Breakaway. These volunteers desire for each student to feel loved by God’s people and, by extension, loved by God. They help greet fellow students and direct traffic flow on Tuesday nights. Volunteers cultivate an atmosphere of peace and joy in the green room during the time leading up to Breakaway. This allows the band and speaker to focus on preparing to lead thousands of college students in a time of worship. These volunteers help with Tuesday nights and various other volunteer semester events. Volunteers help connect the support system of Breakaway in tangible ways to the life saving work that God is doing through Breakaway. Link team members seek to honor and cultivate relationships with Breakaway’s supporters by hosting receptions on Tuesday nights, writing personal letters, and working come and see events. Volunteers utilize technology to support a time of worship for their fellow students. They not only serve the students at Breakaway, but also a growing online following by enabling the livestream and podcast. Experience in ProPresenter, cameras, and projection equipment is appreciated. Some training will be provided, however, previous computer experience is preferred. Volunteers intercede on behalf of their fellow students weekly during Breakaway. Through prayer, these volunteers engage in spiritual warfare, edify the body of Christ, communicate with God, and give God thanks. Team members are required to attend Tuesday nights along with weekly office prayer, if possible. Volunteers seek to build relationships and share the gospel with the growing international community for the glory of God. As they share truths of God as well as their very lives with international students, their hope is to see them come to know God. Volunteers are required to be at Breakaway on Tuesdays, have a conversation partner, and host monthly international student events. 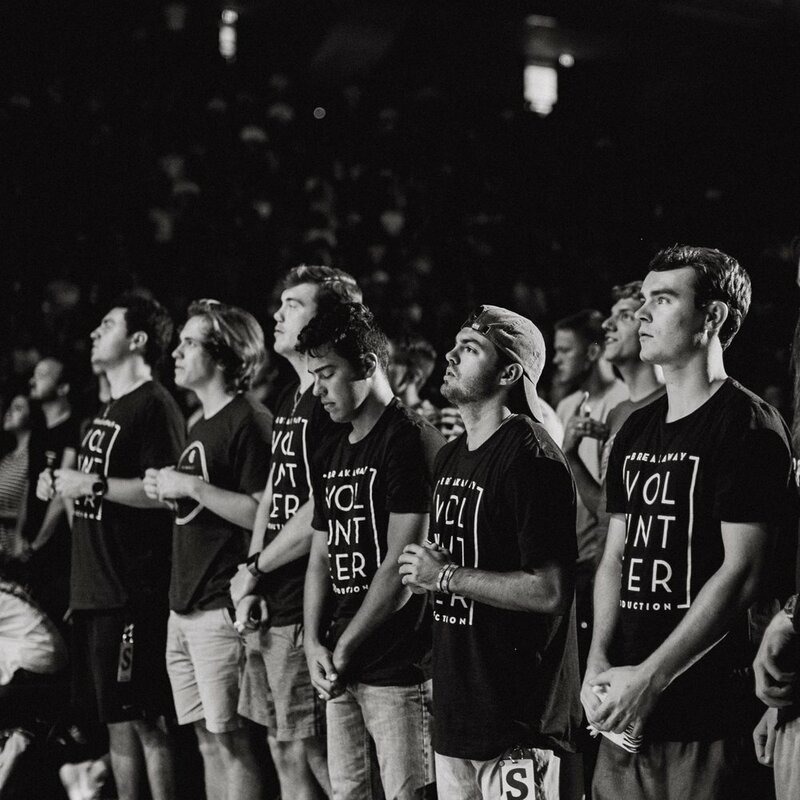 Volunteers seek to glorify God and make Him known by engaging with students at Breakaway, selling Breakaway resources, and producing monthly newsletters. They also play a crucial role in facilitating the Shalom Project in the spring. They are required to be at Breakaway on Tuesdays as well as complete office hours during the week. 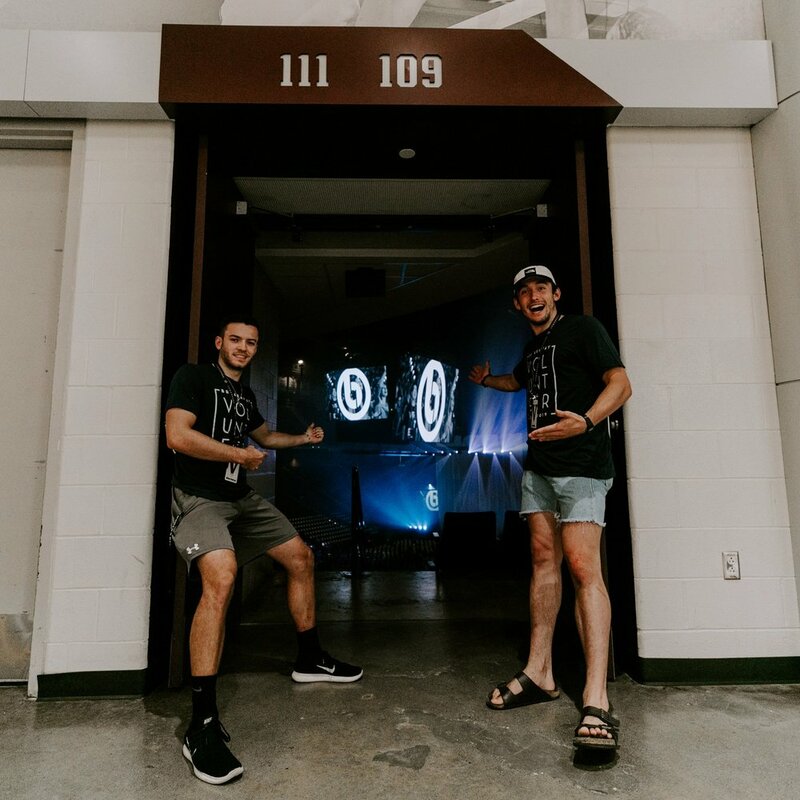 Volunteers construct an atmosphere where students can worship unhindered and where the gospel can be presented clearly and without distraction. They glorify God as they work to set up staging, lights, microphones, and speakers. They are required to be there early every Tuesday to help set up the arena as well as stay after and tear down equipment. No previous experience required. Volunteers advance the gospel through the promotion of all Breakaway events. They seek to invite every college student in Bryan/College Station to Breakaway so the gospel can be broadcasted to as many people as possible. Volunteers are required to be at Breakaway on Tuesday as well as work to promote Breakaway in different capacities during the week. Volunteers support the Breakaway staff so they can focus on their own specific roles, and thus, the advancement of the gospel. Support members seek to glorify God as they interact with visitors in the office, run errands, and care for the staff. They are required to be at Breakaway on Tuesdays as well as complete a 2 hour office shift during the week. Creative - 6+ HRS/WEEKLY + OCCASIONAL HRS AS NEEDED Volunteers utilize the unique and creative gifts God has given them to further the name of Jesus at Breakaway Ministries. They do this through different media avenues such as videography, photography, graphic design, and social media marketing.